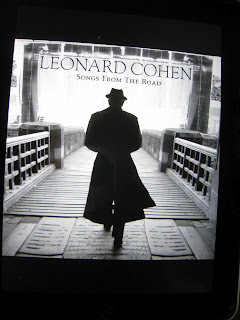 Having already shelled out for the Live in London DVD I wasn't that keen on repeating the exercise when this compilation from Leonard's recent world tour appeared. After all, with the whole of a show that didn't seem to have varied much over the three year span you probably don't need too much more. So I thought. That copy is on DVD, and I've been ethical about copying files to the hard drive and importing the audio into iTunes, so when Old Ideas appeared on the scene and I wanted to check how Going Home would line up with the material that was being used in the stage act I was handing over the dosh for this twelve track compilation of live performances from the 2008 and 2009 legs of the tour. 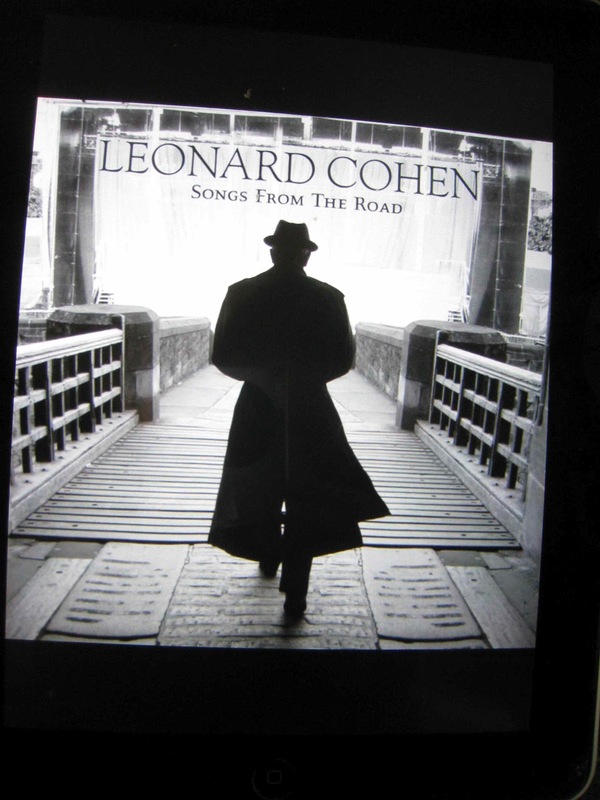 While you could interpret this as another exercise in padding out Leonard's retirement funds, those who have seen the show will know what to expect, and the listener might be inclined to question how you could reduce two and a half years of extensive touring (from Canada in May 2008 through to Caesar’s Palace in Las Vegas in December 2010) to a round dozen tracks on this CD/DVD combo. The easiest shot would, of course, probably have lobbed into the fan’s collection via Live in London, so you’re not going to be looking for a repeat of a setlist that doesn’t seem to have varied much. Not a whole lot of difference, is there? Actually, given a show that had been thoroughly rehearsed and buffed before the opening gig you wouldn’t expect there’d be a whole lot different about the performances either. But along the way there’s going to be the occasional night when something out of the ordinary happens. According to the story, the twelve tracks here represent nights when something out of the ordinary did, as it turned out, happen. Without the video footage, of course, it’s hard to define what made these dozen performances special, but research indicates Lover, Lover, Lover was played in front of a fifty-thousand-strong Tel Aviv crowd in September 2009, while Hallelujah (from the Coachella Festival in California in April 2009) was performed in front of the entire crowd at a festival where multiple stages are the go and had been in operation until just before Leonard hit the stage. There’s an indication of the crowd size towards the end of the audio, and one presumes there’d be more evidence on the DVD version. The London O2 Arena show on 13 November 2008 that provides That Don’t Make It Junk and Famous Blue Raincoat would, I guess, be another big crowd spectacular. One for the fans and completists? Definitely. There are plenty of fans out there, many with completist tendencies and an artist who doesn’t have a huge back catalogue.